A very short story: it was the first Sunday of January, just 3 days into 2016 & I had already ordered and demolished a pizza from Basilico. The End. As someone who is conscious of their weight and who usually eats pretty damn healthy, homemade meals, I’m not proud I cracked so early. 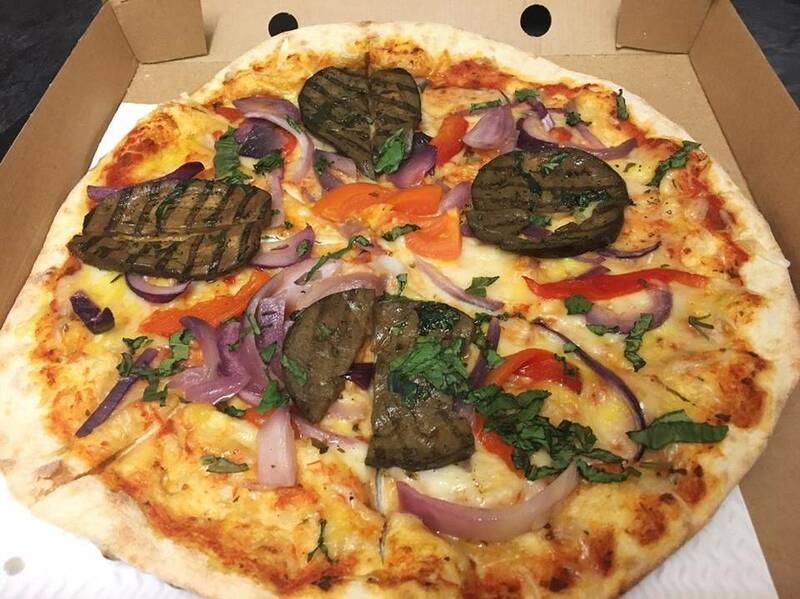 I am however happy I have found a delicious Vegan pizza in London (for those treat evenings now and again) that delivers to where I live! This particular Sunday I was hanging out with Lissa (my blogging BFF, you might have seen me mention her once or twice) and she suggested we get pizza! I was dubious – due to being low on cash and also because I had hoped the whole Veganuary/Vegan thing would encourage me to not be eating things such as pizza. 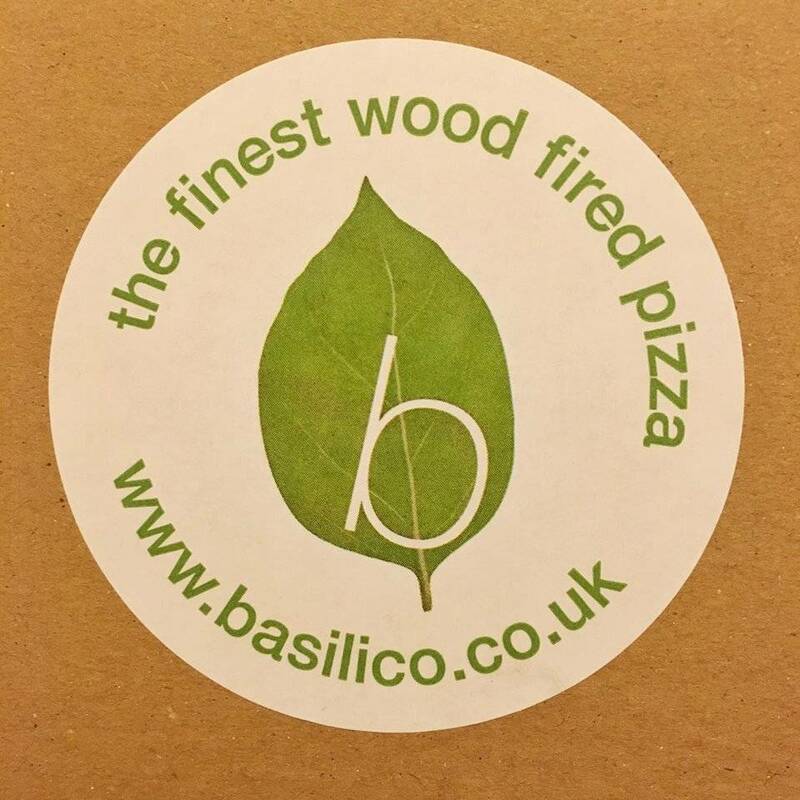 But, after a bit of googling and a minor set back when a place we found wouldn’t deliver to my flat (cry), we found a yummy looking place called Basilico that had Vegan options and went for it. That’s my pizza there on the right – I went for a 10inch “Vegetarian” which comes with Basilico pizza (tomato) sauce, roasted aubergine, courgette (which I omitted due to not being the biggest fan of courgette) and red peppers with red onions, chopped fresh tomato, basil and the option to have vegan cheese (to replace the Vegetarian mozzarella), and I was pleasantly surprised! 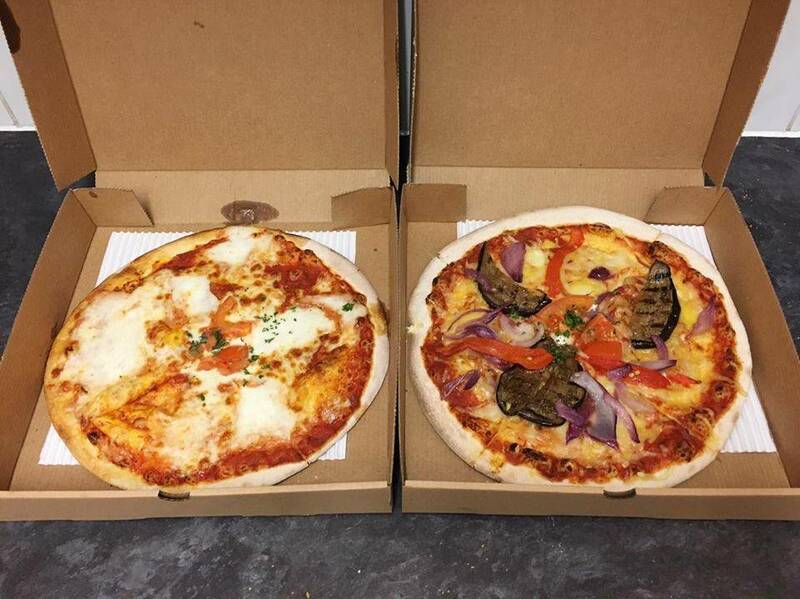 When you think of takeaway pizza, you think greasy, unhealthy stodge… Well let me tell you something, takeaway pizza doesn’t have to be greasy nor stodge. Just thought it worth adding: as a long time cheese lover (honestly, I used to love cheese on everything: pizza, pasta, rice, soup, anything and was even nicknamed “Cheesus” by a couple of friends, thanks guys) – I was so dubious of Vegan cheese, however I was pleasantly surprised. The cheese they used was melty, creamy, and delicious! After calling them to enquire about the deliciousness, I found out it was Violife Mozzarella, which I’ve actually tried again since and it really does work well melted on top of things, and lasts a lot longer in the fridge than non-Vegan cheese! 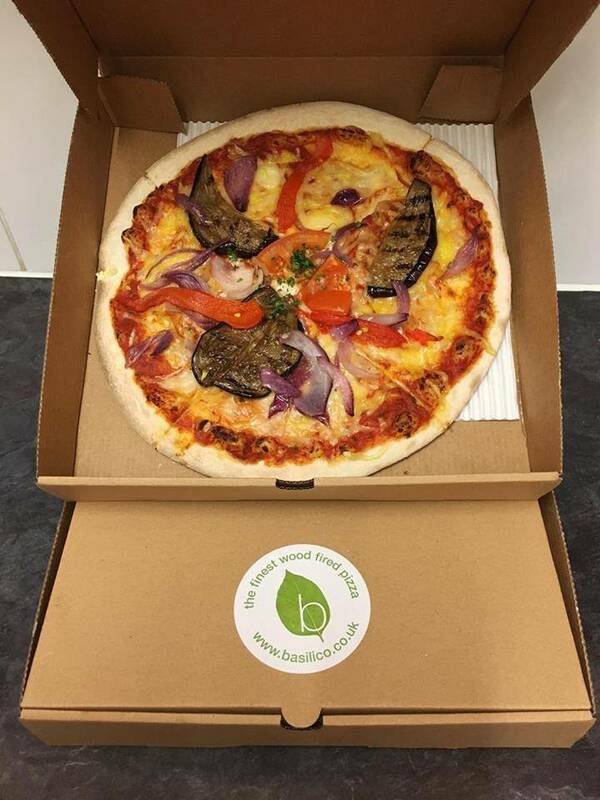 So next time you fancy takeaway pizza, rather than Domino’s/Pizza Hut why not try something a bit different, that’s super tasty and also supporting a smaller business! I would love to hear of any recommendations of tasty Vegan takeaways I should try out sometime – let me know in the comments. Slice to see you again 😉 until next time!